Starring Ella Smith, Justin Salinger, Patrick Romer, and Tony Way. 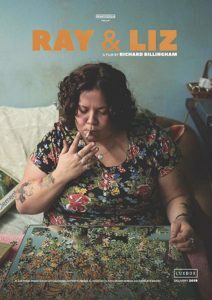 Just outside of Birmingham, Ray and Liz struggle to survive and raise their sons, including future photographer Richard Billingham. Richard and his brother Dean do all they can to fend for themselves, despite their situational poverty and the temperament of their neglectful parents. Shifting focus, the camera pans lugubriously around a small room, taking in every inch of the faded walls and dirty surfaces. This is the habitation of Ray, an old man who wakes seemingly just to drink a brown mixture referred to only as “Home Brew”. Ray’s Adam’s Apple juts out as he gulps the drink down in one, refilling the glass almost to the brim each time. 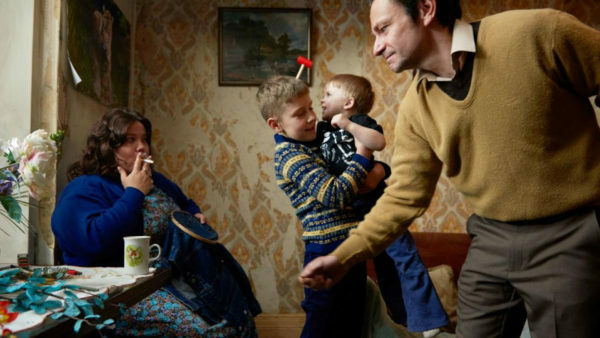 If the opening of renowned photographer Richard Billingham’s semi-autobiographical debut feature is anything to go by, he is about to reveal a steady portrait of a bleak collection of lives. Flashing back to two distinct periods in the director’s childhood, Billingham carefully and poignantly sheds light on his titular parents. There is deliberately little plot – a choice that allows a greater depth of character and situation to be excavated. In the first of many similarities to Terence Davies’ Distant Voices, Still Lives, Liz’s personality echoes that of Pete Postlethwaite’s father figure. Though violent in her words and actions, Liz is the rock that the other family members cling to, Ray in particular. By contrast, he seems removed though perennially present, as if existing merely to orbit his wife. “Liz has got a bit of Nazi in her”, son William states with snide confidence behind her back, highlighting the delicacy of the family’s mutually abusive relationship. Still, a modicum of warmth abounds, reliance seeps into each trick played on one another, each lie told or harsh phrase slung. Through Liz’s tears on hearing her son’s hurtful words, the familial heartache is palpable. Billingham’s directorial style is reminiscent of other artist-turned-filmmakers such as Tom Ford – each and every image drips with aesthetic precision. 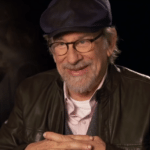 When portraying his characters, he makes sure that their face is seen in full at only the moment that it is absolutely necessary, often hiding them above shot until he is ready to do so. Certain tableau’s are hard to shake – pictures arranged to look beautiful despite their awful depictions. Drunk Uncle Laurence looks picturesque even when unconscious, lying against a dingy yellow brown carpet; and when blood drips from his nose down his face, the same is true. Billingham’s masterstroke is to pull attention to younger brother Dean, exposing the reckless individuality he and his siblings are forced to adopt, whilst managing to retain a semblance of hope. 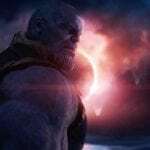 His ultimate sacrifice is to shy away from his own experience – left behind when his brother gains a chance to break free from the cycle of neglect. Ray & Liz is hard to quantify in terms of the events that take place, because there are few impactful enough to warrant description. But it is the small happenings that bring magic, sorrow, and joy to these little lives. Whether they are showing off their collection of not-quite-finished cigarettes, or arguing over the money they can scrounge, Ray & Liz are in equal parts a pleasure and a horror to behold. Billingham takes care neither to lay too much blame at the feet of those who raised him, nor to excuse them. It is easy to be fascinated by this simple story, made all the more poignant by the reality of the situation for the auteur. The camera holds still now, as Liz pieces together yet another large puzzle, and Ray brings her a hot cup of tea filled almost to the brim.